Josef truly LOVED Mater Dei. He loved the students and alumni. He loved the faculty and staff. He loved the parents. He just loved. In this final video, we explore the deep LOVE Josef had for Mater Dei through the service, compassion and respect he demonstrated throughout his life. A man of deep faith who trusted in God, Josef had a special devotion to our patroness – Mary, Mater Dei. In this second video, we explore how Josef’s life gave GLORY to God through his commitment to faith. At today’s All School Holy Week Mass, our entire school community watched this video together. Josef’s life truly reflected Mater Dei’s core values of HONOR, GLORY and LOVE. In this first video, we explore how his life was an example of HONOR, particularly through his lifelong commitment to Mater Dei’s rich tradition of excellence. As we kick off our inaugural Josef Day on April 17, we asked current students what they knew of Josef. Most (if not all) did not know who he was. Our alumni faculty shared rumors and tall-tales of him during their high school years. Stay tuned for more as we walk in Josef's path starting April 15 and culminating on his birthday and now special day, April 17. 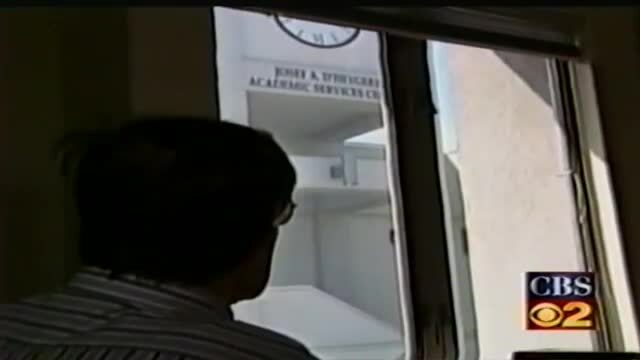 CBS News, Los Angeles visited campus back in 2002 to tell Josef's Story. Enjoy seeing Josef on campus and hearing about his passion for Mater Dei.